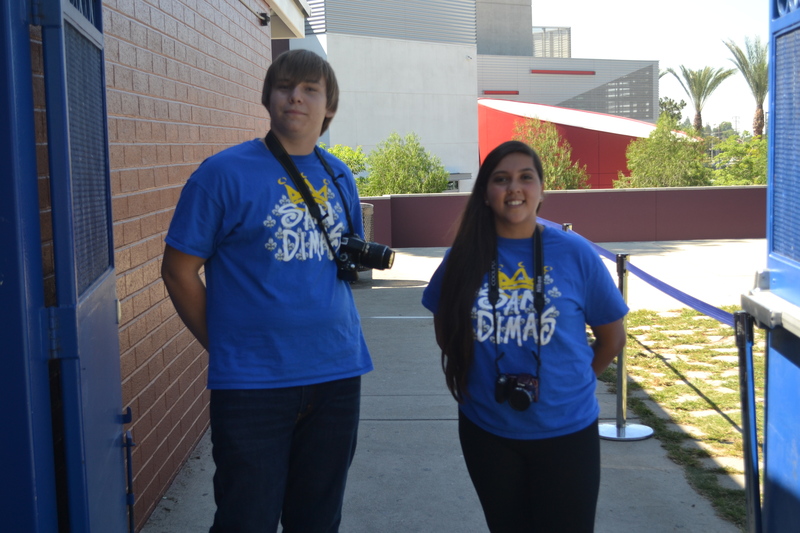 Students were encouraged to wear their San Dimas gear in support for their team for the upcoming game. Smudge pot week is legendary at San Dimas. It’s the infamous rivalry between San Dimas and Bonita that sparks the fire in everyone on campus. The week starts out with twin day on Tuesday. Students are encouraged to twin with someone else to show school spirit. It is followed by jersey day on Wednesday, and San Dimas gear on Thursday. Finally, on Friday the school will be a sea of Saints pride. The energy on campus builds as the Friday night game nears. No one dares to wear green this week for fear of accidentally showing any type of Bonita support. Friday night the school will all rally together in the football stands to cheer on our school in the big game. It’s one of the many times during the year when everyone feels extremely connected with each other, cheering on the mighty Saints. No matter if we win or lose we know that the following Monday will carry the feeling of family throughout the whole day.